Note: The FDA recommends that the starting dose for Lunesta be lowered to 1 mg for both men and women. What conditions does Lunesta treat? Tell your doctor right away if you have any serious side effects, including: memory loss, mental/mood/behavior changes (such as new/worsening depression, abnormal thoughts, thoughts of suicide, hallucinations, confusion, agitation, aggressive behavior, anxiety). List Lunesta side effects by likelihood and severity. Before using this medication, tell your doctor or pharmacist your medical history, especially of: kidney disease, liver disease, lung/breathing problems (such as chronic obstructive pulmonary disease-COPD, sleep apnea), mental/mood problems (such as depression, thoughts of suicide), personal or family history of a substance use disorder (such as overuse of or addiction to drugs/alcohol), personal or family history of sleepwalking, a certain muscle disease (myasthenia gravis). The effects of this drug can last even after you wake up the next day. If you did not get 7 to 8 hours of sleep or took other medications that made you sleepy or are more sensitive to this drug, you may feel alert but not think clearly enough to drive. Alcohol or marijuana can also make you more sleepy. Wait at least 8 hours after taking this drug before driving, and do not drive, use machinery, or do anything that needs alertness until you can do it safely. Avoid alcoholic beverages. Talk to your doctor if you are using marijuana. If you take the 3 milligram dosage of eszopiclone, do not drive, use machinery, or do anything that needs alertness the next day. What should I know regarding pregnancy, nursing and administering Lunesta to children or the elderly? A product that may interact with this drug is: sodium oxybate. Tell your doctor or pharmacist if you are taking other products that cause drowsiness such as opioid pain or cough relievers (such as codeine, hydrocodone), alcohol, marijuana, other drugs for sleep or anxiety (such as alprazolam, lorazepam, zolpidem), muscle relaxants (such as carisoprodol, cyclobenzaprine), or antihistamines (such as cetirizine, diphenhydramine). Does Lunesta interact with other medications? If you miss a dose, do not take it unless you have time to sleep for 7 to 8 hours afterward. (See also How to Use section. 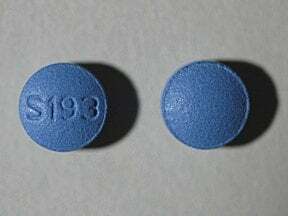 This medicine is a dark blue, round, film-coated, tablet imprinted with "S193". 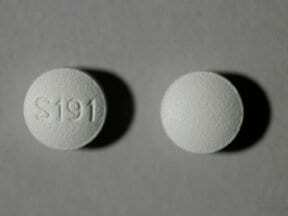 This medicine is a white, round, film-coated, tablet imprinted with "S191". 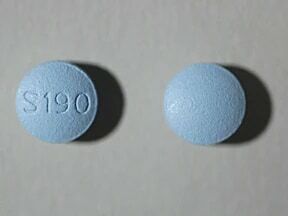 This medicine is a light blue, round, film-coated, tablet imprinted with "S190". Are you considering switching to Lunesta? How long have you been taking Lunesta?